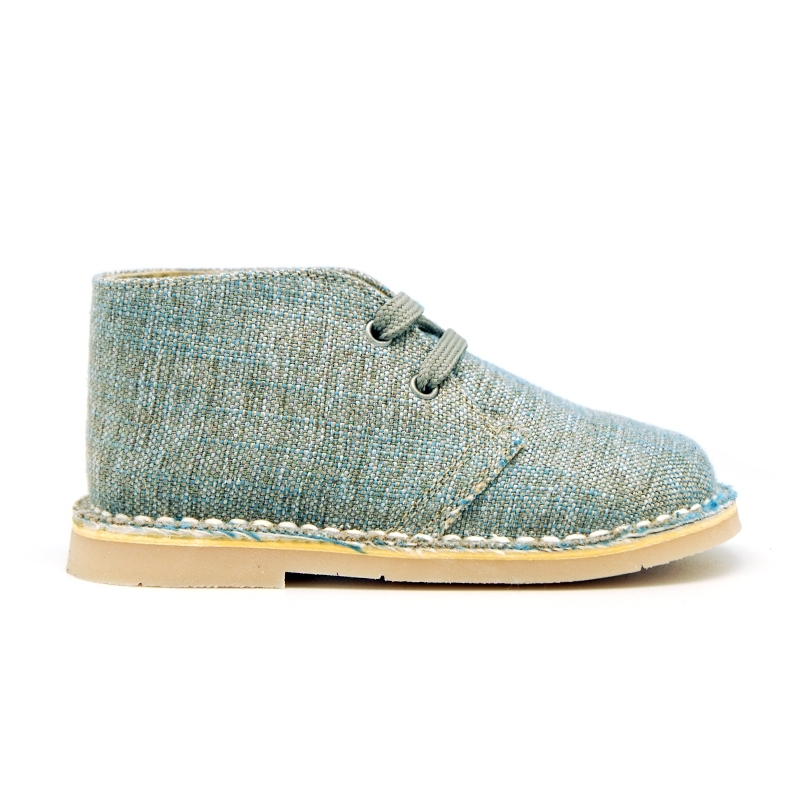 Okaaspain, tienda online de botas safari pisakks en lino natural para niños y niñas. 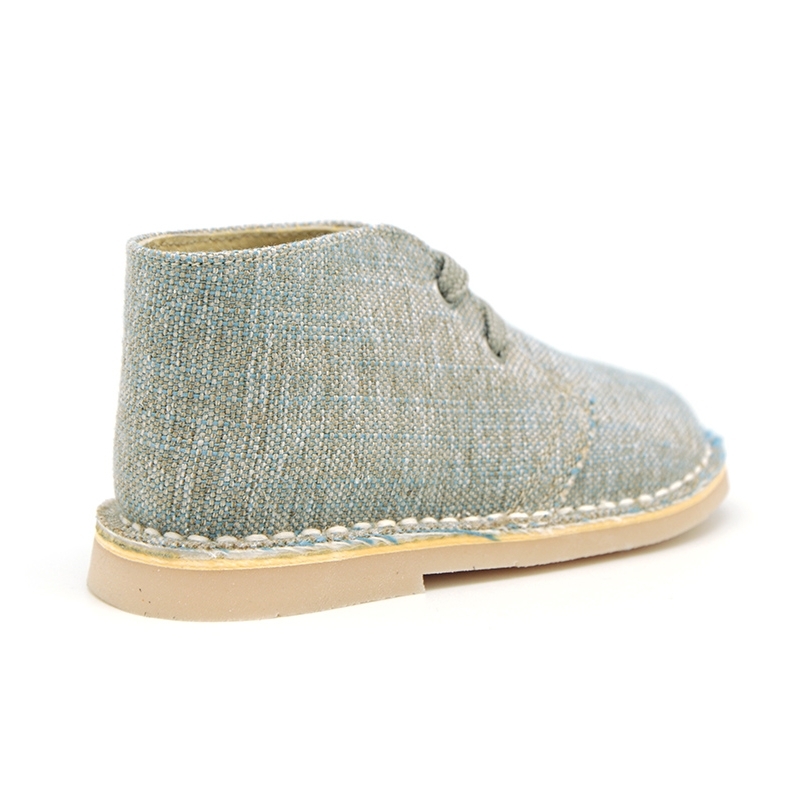 > Toddler girl>Safari Boots>Natural Linen canvas safari boots with shoelaces. 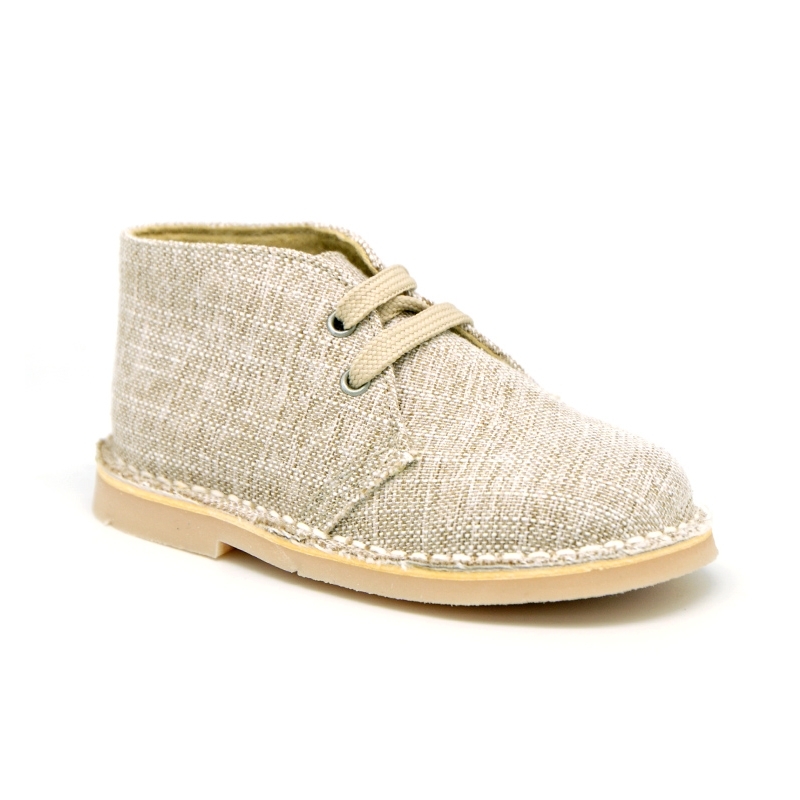 Natural Linen canvas safari boots with shoelaces. 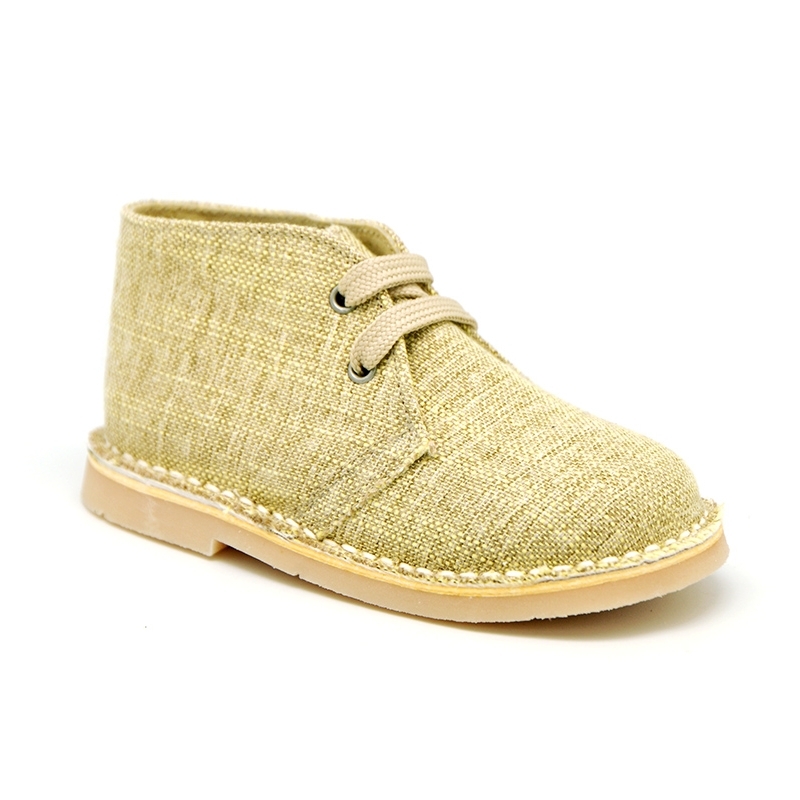 Natural Linen canvas safari boots with shoelaces for kids. 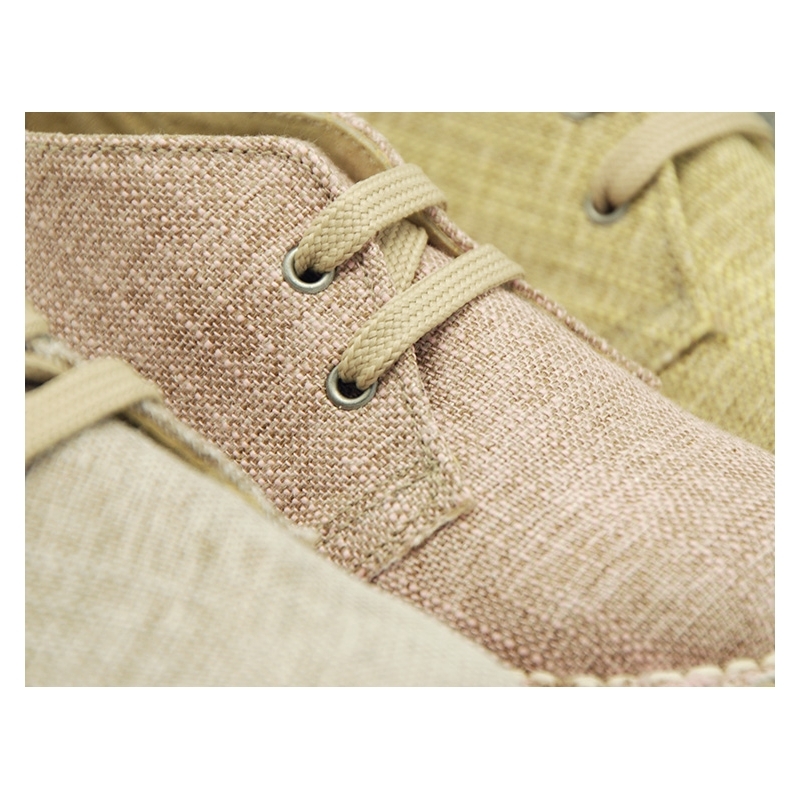 More info about Natural Linen canvas safari boots with shoelaces. 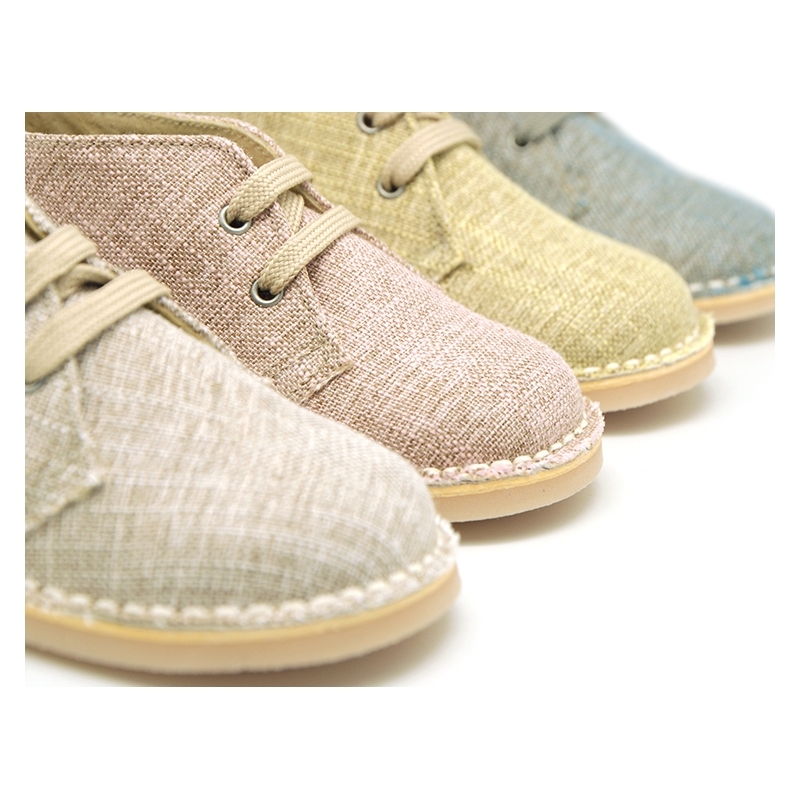 Natural Linen Canvas Classic Spanish safari boots with shoelaces in pastel colors for boys and girls. 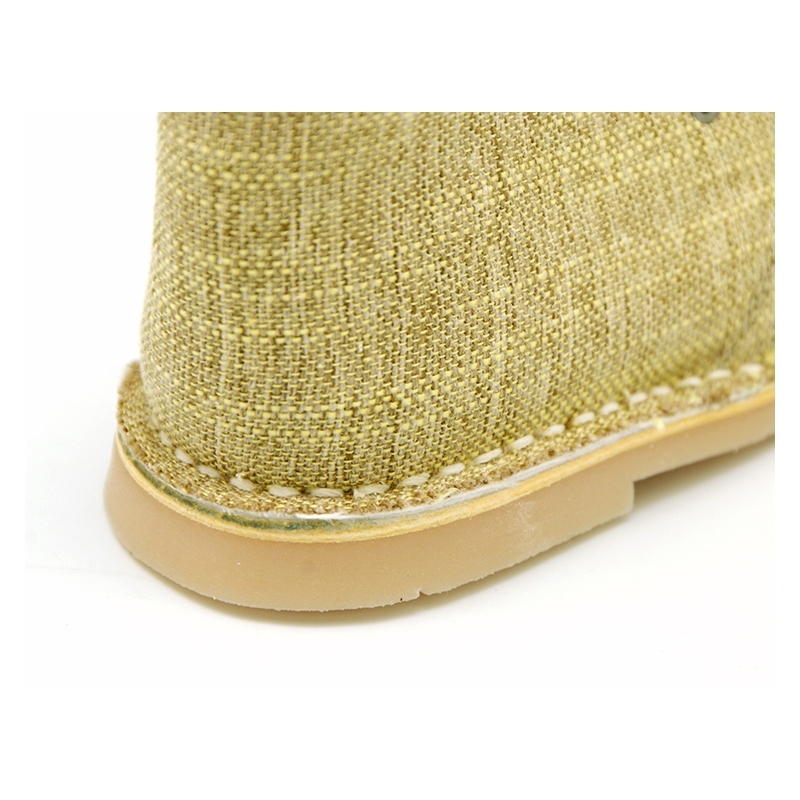 Made up of 100% high quality natural linen canvas with high quality finishes. 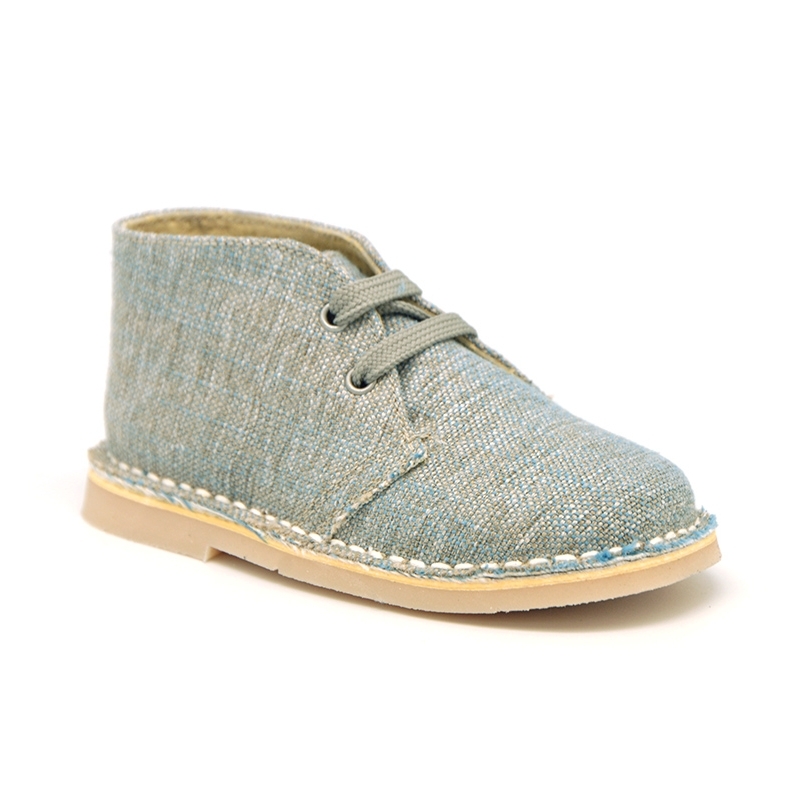 Very comfortable and practical for a day to day basis or to dress in special occasions. Mix and macth with all their garments this spring summer. 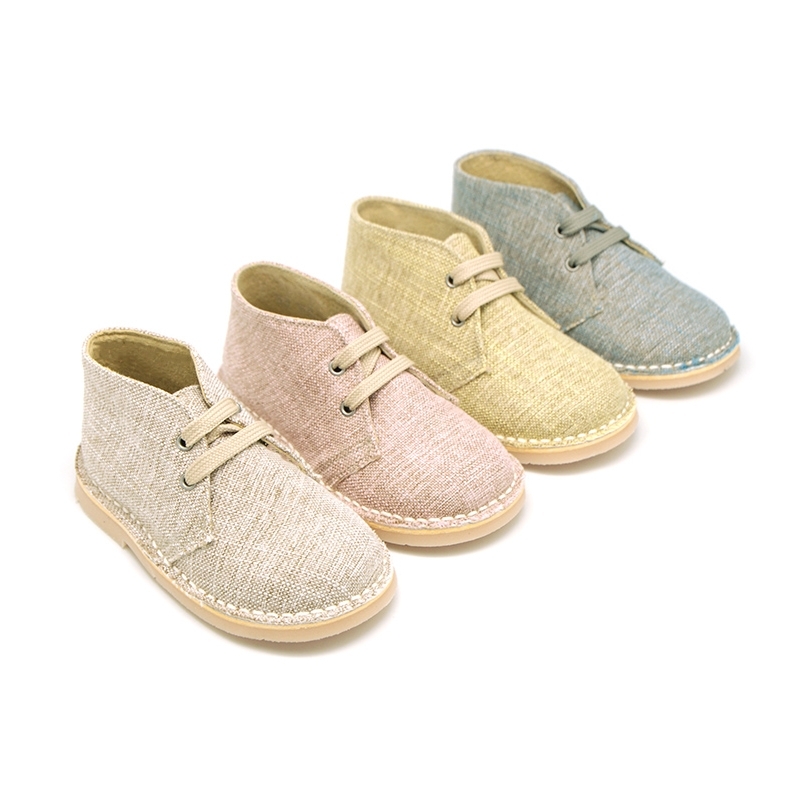 Natural linen materials and pastel colors are the latest in fashion clothes and shoes this spring summer for kids. 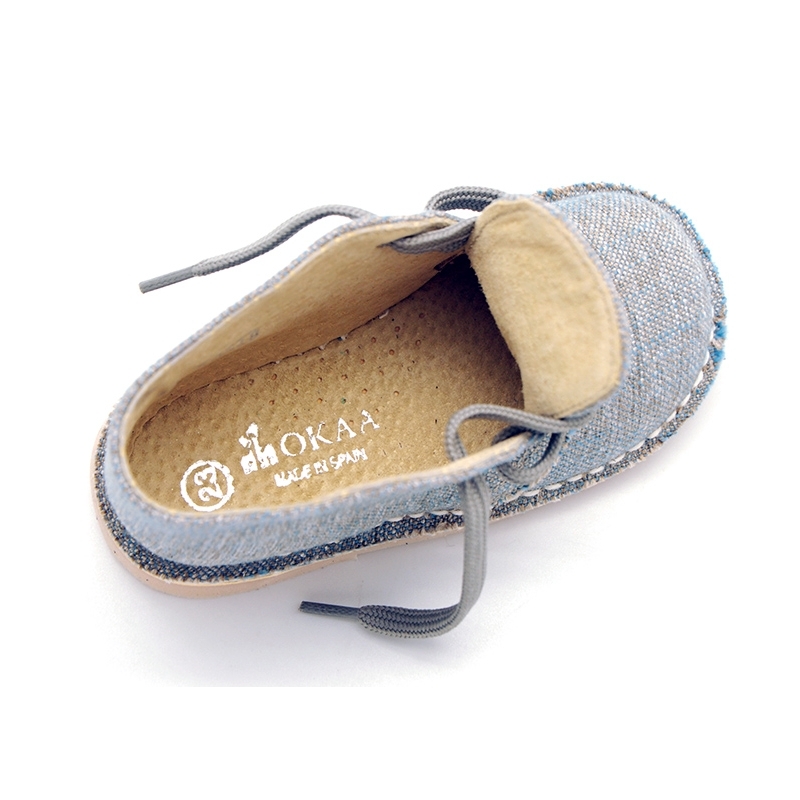 Outsole made up of high quality non-slip flexible rugged rubber in order they can learn to walk or play without problems. Fully lined in nappa leather for a good perspiration of their feet and with leather perforated insole as weell. SIZING LARGE, we recommend to choose a smaller size to the regular one. Available in 4 colors. Range of sizes: from 18 Euro size up to 41 Euro size. 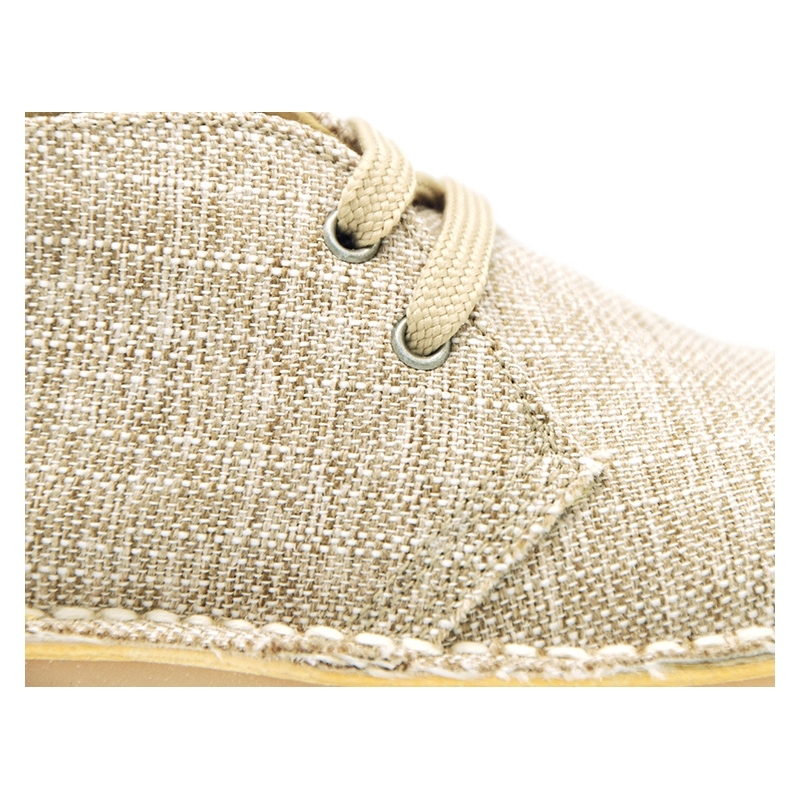 Data sheet about Natural Linen canvas safari boots with shoelaces.